At Power Wash Pros we know the hassle of cleaning out gutters that are caked with leaves, shingle media, or other natural debris. We also know there is a simpler and more effective solution than a ladder, a power washer, or a long precarious day scraping them out by hand. It’s called the Gutterglove Gutter Guard and we know how effective it can be at keeping those gutters clean. Eliminates gutter cleaning! No gutter clogs ever! Filters all debris from your gutter! Works with any gutter type! First Stage filter in rain harvesting systems! Works with any roof type! Almost invisible from the ground! Filters over 150 inches of hourly rain! 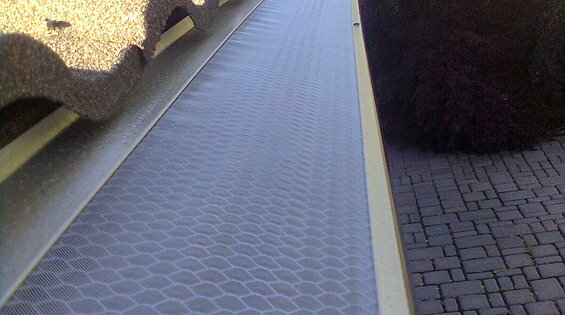 Gutterglove is made with two metals; a perforated aluminum channel and type 316 stainless steel mesh. The stainless mesh is sealed into the grooves on both sides of each channel section with glue. 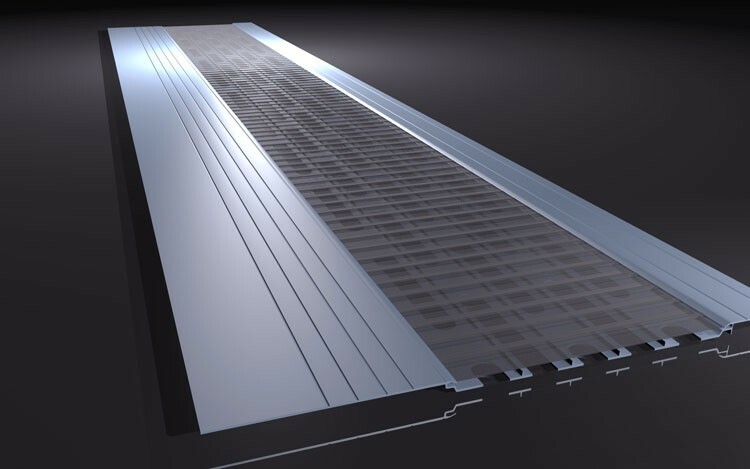 It can be installed on any existing gutter and should always be installed to match the roofs pitch (up to 5/12) to perform at its best. Gutterglove was specifically designed so it would slide under the roof shingles and fits perfectly with the front lip of your gutter creating a tight seal ensuring debris is kept out. Guttergloves extruded aluminum support frame is anodized to protect it from the environment and to make it more adaptable for installation on copper gutters. The anodizing process creates an aluminum surface that is durable, corrosion resistant, and has a beautiful, long-lasting finish. Anodizing is one of the most environmentally friendly industrial processes making it a favorite with current governmental regulations. Since this is a naturally occurring oxide process that we reinforce, it’s non-hazardous producing no harming or dangerous by-products. Anodized aluminum is used around the world as highly durable exterior, including the Sears Tower in Chicago, Illinois, along with a mass of other products such as home appliances and scientific equipment. The extremely strong 316 stainless steel mesh allows 150 inches or more of hourly rainfall to filter through into the gutters. 316 Stainless Steel is molybdenum-bearing austenitic which is far more resistant to common corrosion, crevice corrosion, and pitting than other conventional chromium nickel lower quality stainless steels such as 302 or 304 and other standard stainless steel alloys. The 316 Stainless offers higher creep, tensile strength and stress-to-rupture at elevated temperatures. It resists against the attack of marine and industrial atmospheres which made it an ideal component for Gutterglove.